1979 Original Press Photo from the James Bond film 'Moonraker' starring Roger Moore as 007. 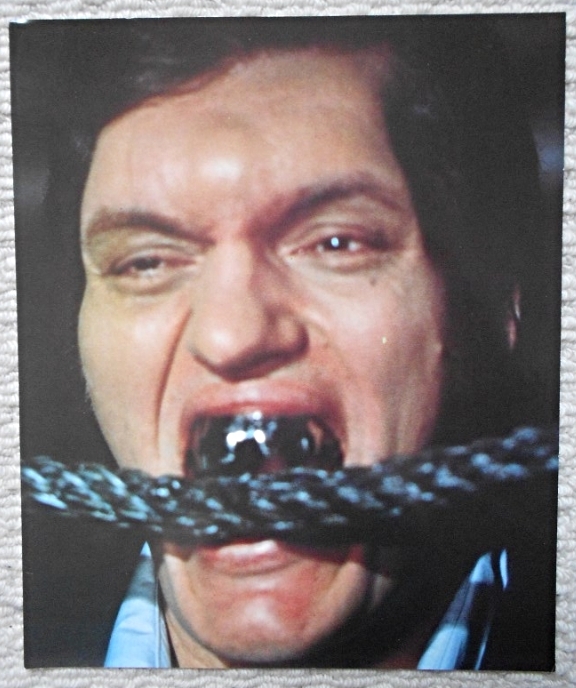 This still features a great close-up of Richard Kiel (Jaws). This still is in VG++ condition and measures 8" x 9.75". The still has some very small surface dings which are hardly noticeable.